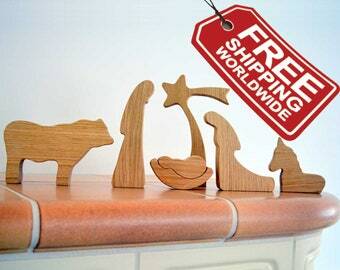 Wood nativity sets, Easter nativity, Xmas trees etc. Announcement Welcome in our shop! 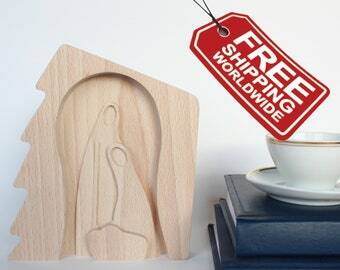 See our treasures like wood nativity set, wooden nativity scene, Christmas trees, Easter scene, desk organizers and other. Everything made in the heart of our Slovenian (European) hills and forests. Welcome in our shop! 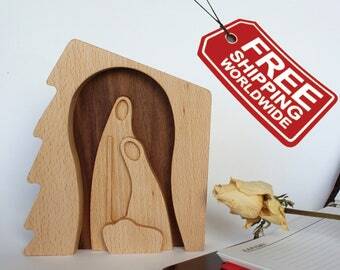 See our treasures like wood nativity set, wooden nativity scene, Christmas trees, Easter scene, desk organizers and other. Everything made in the heart of our Slovenian (European) hills and forests. Not only is the craftsmanship beautiful, but Nina and Gregor were a pleasure to do business with and it is evident that they put a lot of care and quality into their products. This is definitely going to become an heirloom piece in our family. I love my Easter Scene! Beautifully crafted that will last years. 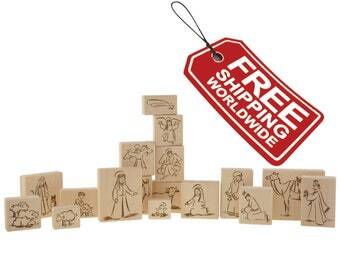 It came in good time ready for easter and packed really cute with wood shavings to protect the figures. Thankyou Loving wood I am very happy. 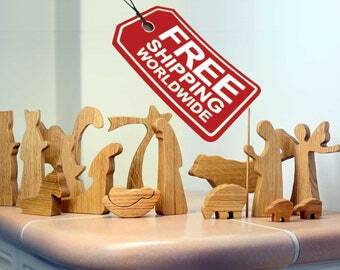 The Nativity set is incredibly beautiful. Absolutely perfect! Prompt shipping and very thoughtfully wrapped. Thank you Nina and Gregor! We make what we love and love what we make. Sanding by hand gives special energy to the items we make. Just like in the old days, when work was full of gratitude and respect for the nature. Packaging is like preparing gifts - done with love and attention. Wood is material we fell in love with very spontaneously, very long time ago. It was given to us in the cradle, probably by one of the little green creatures living in our forests. We grew up with its simplicity, warmness, colors, life. It became a subconscious part of us until we started choosing our own path in life. ... A tree has a soul of its own. When a piece wood is met by intuitive design and a skilled hand, this soul becomes visible ... Out of this reason Loving-Wood was born. Loving-Wood is a logical consequence of us being born right here, on this tiny piece of our planet. Walking hand in hand with Mother Earth becomes a way of living. A style. Our first nativity set was made in 2013. It was something that expressed who we are, what we like and believe in. A year later we continue writing our wooden fairytale and we enjoy it. 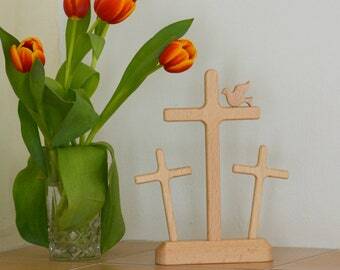 Loving-Wood reflects beauty and fascination for simple things, simplicity and creativity. Wood is opportunity to – with a touch of patience – create something wonderful. When you can offer this to others, then you know you're on the right path. 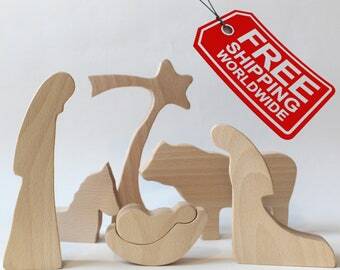 Welcome to Loving-Wood – a shop of wooden treasures for special moments. I carefully examine every item before shipping. If an item is broken through postal delivery, let me know as soon as possible. Send me a photo of it and I will replace it for free. If you are not happy with your order you can return the item in 30 days. In this case you have to inform me in 15 days after delivery. Items for return must be in new condition, undamaged and in the original packaging. A copy of the receipt and a returned goods form has to be enclosed. I will refund you within 1-2 days after I have received the item. Please note that I don’t carry responsibility for shipping costs of item return; I only refund the actual value of the item. I don’t accept any cash on delivery (C. O. D.) parcels. I accept only payment through PayPal which is safe and very easy to use. You don’t need a Paypal account in order to purchase, you can pay with your credit card through the PayPal website. If you have any issues regarding the method of payment, please contact me. I usually ship within 1-3 business days after receiving payment. I ship from Slovenia with PRIORITY POST or EXPEDITED SHIPPING. I offer FREE PRIORITY SHIPPING for many items and LOW-COST EXPEDITED SHIPPING OPTIONS. Check out in my shop! When an item is made to order it may take 6-7 days to ship. If you are in a hurry, please contact me and I will try to make it happen. For more postal delivery times, please contact. Please note that the times are approximate and I cannot take responsibility for them. All items are already in nice and practical cardboard boxes. If you wish, I can send the ordered items to the receiver of the gift. I can also write your good wishes in a special card at no extra cost. Let me know! To fulfill your order, you must provide me with certain information (which you authorized Etsy to provide to me), such as your name, email address, postal address, payment information, phone number, and the details of the product that you’re ordering. You may also choose to provide me with additional personal information (for a custom order, for example), if you contact me directly. We try to ship the ordered items in the shortest time possible. In this time we finish the item and package it. 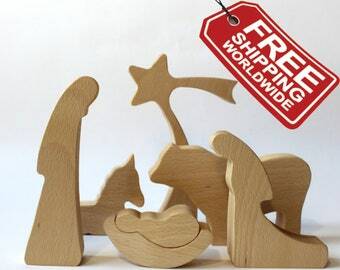 For most of the items we offer FREE SHIPPING (priority post, tracking number). 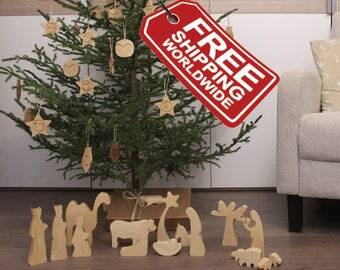 If you need an item quickly, we offer LOW-COST EXPEDITED SHIPPING. Time of delivery depends on your location and shipping service. Who and where makes your items? ALL our items are made personally by us and our family members in our tiny workshop in our hometown Sodrazica (Slovenia, EU). The items are made by hand, from local wood. The items can be purchased only via Internet and are available in limited quantities. We place special care in the quality of all ordered items so that we justify your trust and support. Can I take your designs and use them for my items? NO! 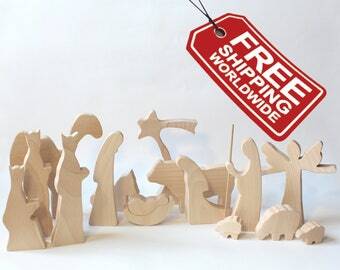 All Loving-Wood designs, photos and descriptions are copyright and you may not use them without our permission. 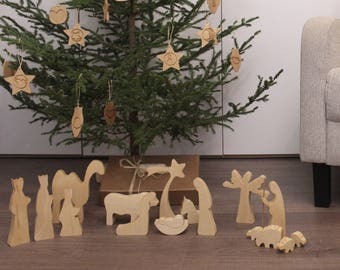 Can I use Loving-Wood photos and post them on my blog?